Swedish Guitar virtuoso Yngwie Malmsteen moved to the US in the early 80's and has enjoyed an illustrious career playing with bands such as Alcatrazz, and his own solo projects ever since. Yngwie is widely revered for his technical prowess which he developed as a teenager through hours of practicing violin concerto pieces by Paganini, on the guitar. Other notable elements in his playing are his very wide, expressive yet controlled vibrato. It is rare that a player has such an instantly recognizable sound, but with influences outside the guitar this has been achieved by Yngwie. I suggest that you do the same and search for pieces on other instruments to transfer onto the guitar. This will push you to overcome the technical hurdles of the guitar and to think in a less restrictive, more musical way. 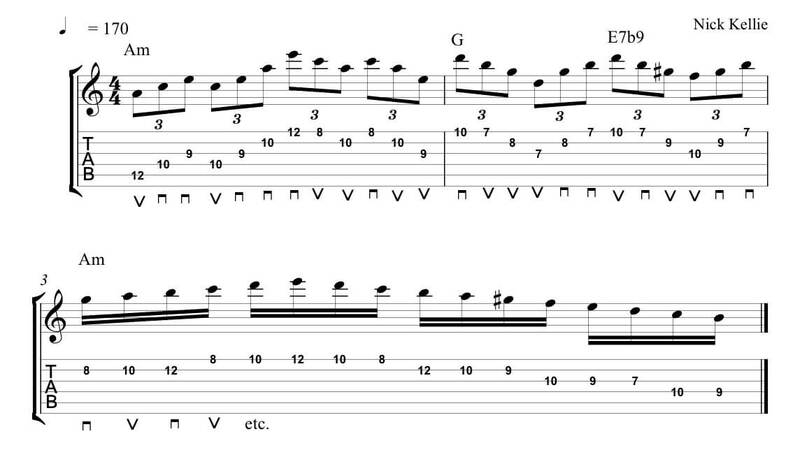 Take these licks and practice them slowly and in 1 bar loops before you play them up to speed. Have fun! 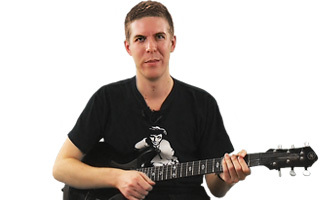 The first lick is based upon a common classical chord progression and makes extensive use of "Sweep Picking" watch out for the huge leap from 12th fret to 19th in the last bar. Play this one slow and build it up gradually. Here we see a Paganini influenced lick. The way to build speed and accuracy is through slow, accurate non-stop repetition. Ensure you use a metronome and be very observant of the picking hand making sure it is even and controlled. 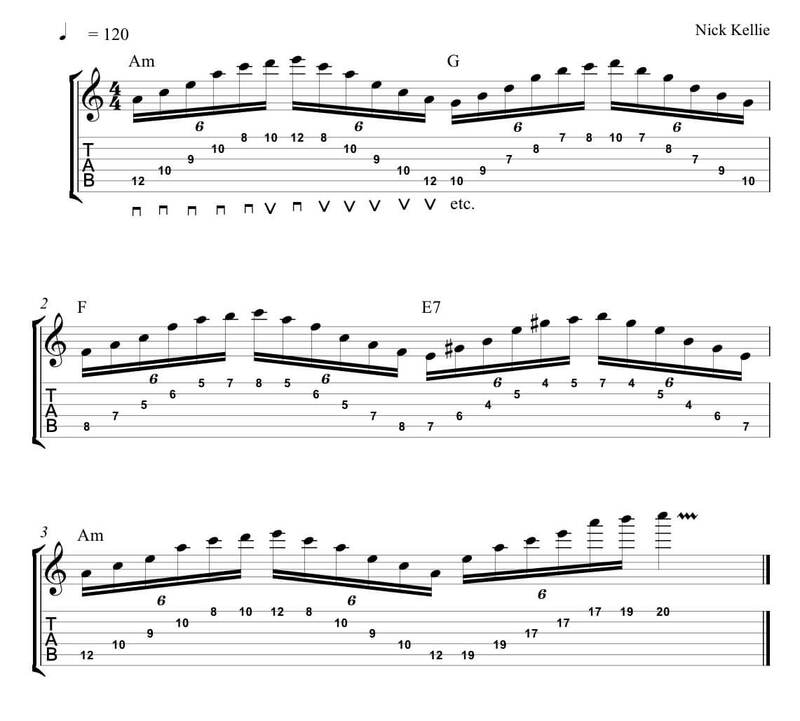 This lick incorporates various types of sweep picking as well as some alternate picking in the last bar. 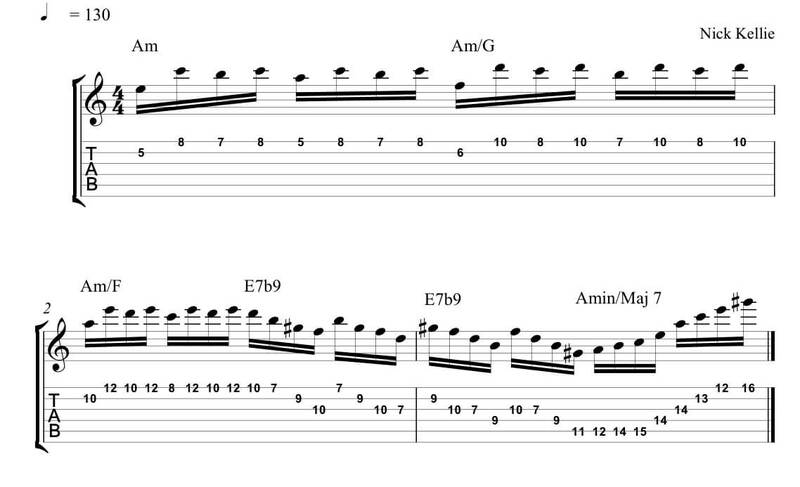 I suggest you break the sweep pick triplets into small looped exercises so you can build the necessary muscle memory in the right hand.